“Our aim was to propose ways, in which young religious European citizens can take a more active role in fulfilling their duties towards society as a whole”, declare the participants of the conference “Fundamentalist of Responsible Citizen? Contribution of religious communities to formation of European citizens” in their final statement. 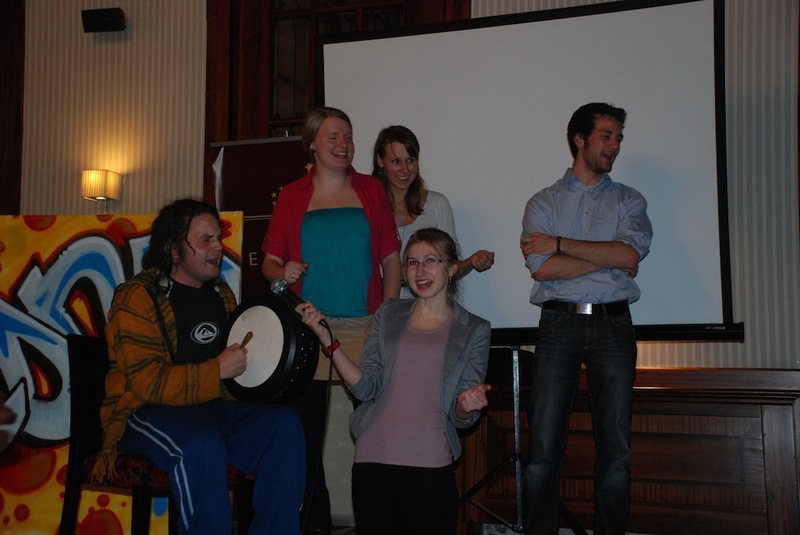 The conference was held from 28th November to 5th December 2010 in Sarajevo, Bosnia and Herzegovina and brought together more than 50 young Europeans from various religious backgrounds. The event was organized by the Ecumenical Youth Council in Europe (EYCE) in cooperation with the Forum of European Muslim Youth and Student Organisations (FEMYSO) and the Interreligious Council in Bosnia and Herzegovina (IRC). This conference marked the final step of the three-year Campaign to Overcome Fundamentalism. This project aimed at addressing various aspects of religious fundamentalism and raising awareness of this phenomenon. At the same time, it promoted the necessity for inter-religious dialogue. The participants for this conference came from various Christian, Muslim and Jewish communities, as this was also the case in the other activities of the Campaign. The conference was officially opened by a greeting from Husejin ef. Smajic, Sarajevo Mufti, President of the Assembly of IRC, followed by a keynote speech entitled „Is fundamentalism challenging for European society?“ by Bashy Quraishy (European Network Against Racism, Denmark). A large number of guest speakers and workshop leaders contributed to the programme of the conference with their knowledge an expertise. Imam Ajmal Masroor (editor, politician, UK) gave a speech entitled “Fundamentalism – harmful or helpful?”, Greis, a Swiss graffiti-artist, musician (MTV music award 2010 as Best European Act) and social activist gave an insight in his own experiences of being active and performed creative workshops with the participants. In addition, other practical workshops were led by young people from EYCE’s network and the Jewish Community Centre in Krakow. During the Open Door afternoon a panel discussion was held with participation of IRC members Ms. Bozana Katava, Dr. Aid Smajic and Ms. Olivera Jovanovic, as well as Mr. Hasan Patel (BBC journalist, UK). Afterwards, the Swiss beatboxer Knackeboul gave an interactive performance for the opening of the intercultural reception, which was a great success. Towards the end of the week Dirk Thesenvitz (youth officer for Ecumenical and International Youth Work, Germany) spoke about the role of young people in fostering responsible citizenship. As a result of the week’s programme and conclusion of the conference, the participants developed and signed a common statement on the role of young people within the various religious communities in preventing fundamentalism and promoting active involvement in civil society. The statement highlights that various religious and secular communities and the civil society have to work together towards common objectives to develop a fairer society, e.g. by formal, non-formal and informal educational initiatives, various forms of dialogue and collaboration, as well as active engagement of young religious people in civil society!